What makes a meal balanced? Mrs. Marla Weber's Second graders at Exeter-Milligan learned the answer to this and other nutritional information in their recent health unit. 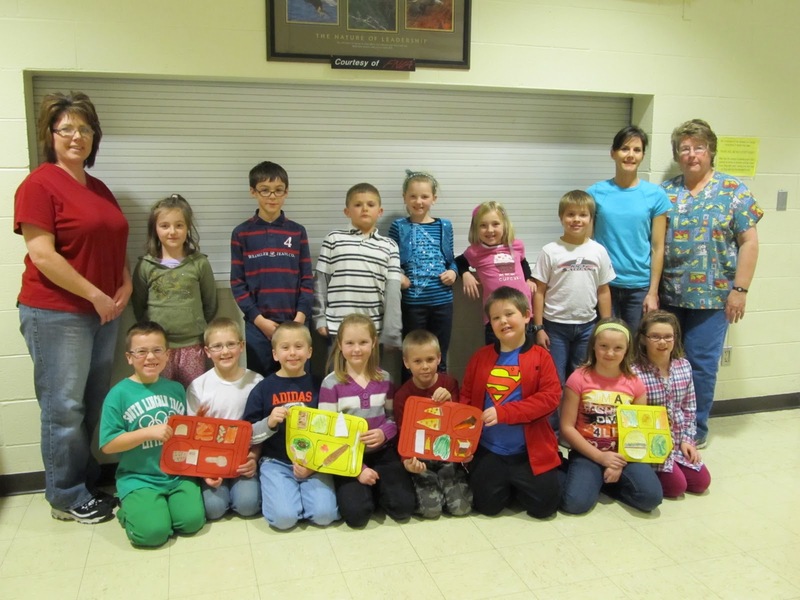 These students studied the food pyramid and other components to a healthy diet. They created menus that not only used knowledge of the food pyramid, but made certain their menus had listed food with varying color, texture, temperature and taste. These menus were submitted to the cooking staff for evaluation. After being accepted for all necessary criteria, the second grade menus will be prepared by the school cooking staff for use in the school lunch program.